Home > Hairstyles & Haircuts > Vintage Hairstyles > 1920s hairstyles are back and bolder than ever! 1920s hairstyles are back and bolder than ever! 1920s hairstyles are back and they’re here to stay. Now, all we need is an invite to a Great Gatsby party. Let’s face it: there’s nothing we don’t love about 1920s hairstyles. There were bold bobs, dazzling accessories and glamorous finger waves. And it was these iconic waves that really set the Roaring Twenties apart from other retro decades. But this stunning hairstyle isn’t just reserved for that bygone era, don’t you know? 1920s hairstyles have been popping up on our style radar for quite some time and we’re pleased to report that they are now fully back in fashion – and it’s about time, too. So, if you’re looking for some ’20s hair inspiration, you’ve come to the right place! Cardi B (AKA our fave girl crush right now) loves the finger waves trend so much she was wearing the style on her hotly anticipated debut album – in her own unique way of course. There is literally nothing we don’t love about this hairstyle on Demi. The whole look is styled together perfectly for any Great Gatsby themed parties. The glossy, high-shine finish to her dark brown bob, her bold lip and eye make-up and the final touch, a backless dress – we are speechless. Kudos, Demi, kudos! Editor’s tip: Give your hair brilliant shine and polish while helping to control static with the TONI&GUY Finishing Shine Spray. Spray evenly over blow-dried hair and brush through before styling. Fashion week shows are renowned as much for their stunning clothing designs as they are for the amazing makeup and hair choices. So it comes as no surprise that designers have been quick to capitalise on the glamorous era that was the 1920s. Recently, we’ve spotted models on the runway sporting finger waves swept neatly to one side and styled back into low ponytails, with the combination of 1920 hairstyles and contemporary clothes working wonders to bring this look into the 21st century. Thought you couldn’t rock finger waves on curly hair? Think again. Showing us how to rock this 1920s hairstyle with longer curly tresses, actress Yara Shahidi added a slight but very noticeable touch to her pulled back style with the addition of finger waves along the hairline. 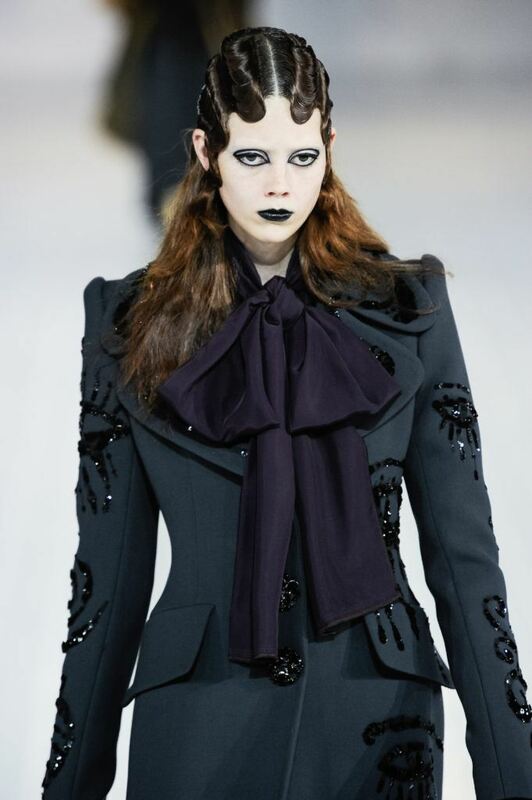 Marc Jacobs was also quick to bring about a 1920s hair revival, just with a slightly more bold stance. The models’ hair was parted neatly down the middle, before being styled into tight, wet-look finger waves that had an alluring edge to it. Yet while the high-impact waves may have taken centre stage, the rest of the models’ hair – worn down and textured – gave a touch of free movement to the otherwise ridged feel of the style. If you’ve got a pixie cut and you’re wondering whether you can sport ’20s hair – the answer is yes! 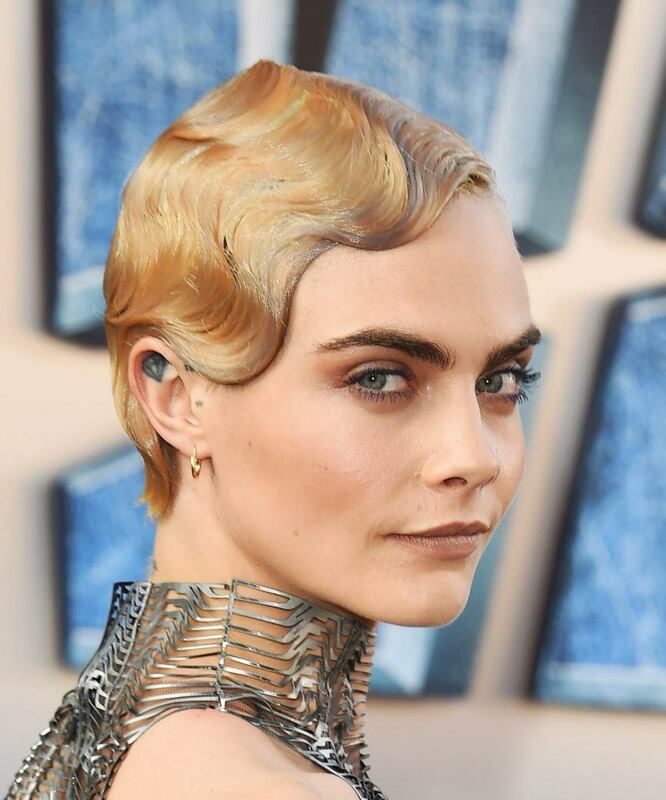 Cara oozes retro glamour with this gorgeous ‘do that she rocked on the red carpet. It’s as if she just stepped out of a scene from The Great Gatsby with a touch of Westworld. We love! 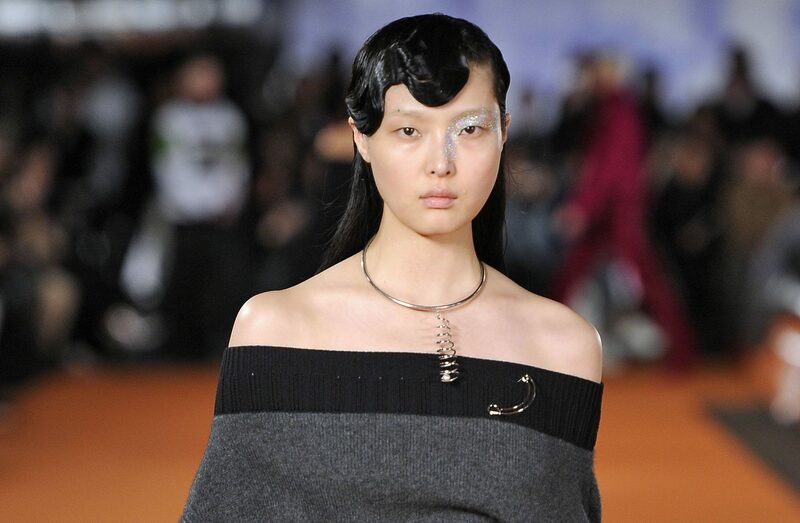 This loose take on 1920s hairstyles saw the models debut loose, voluminous finger waves. The traditional ’20s hair kinks were reformed to ooze modern vibes, with the large, soft waves swept up into slightly undone updos. 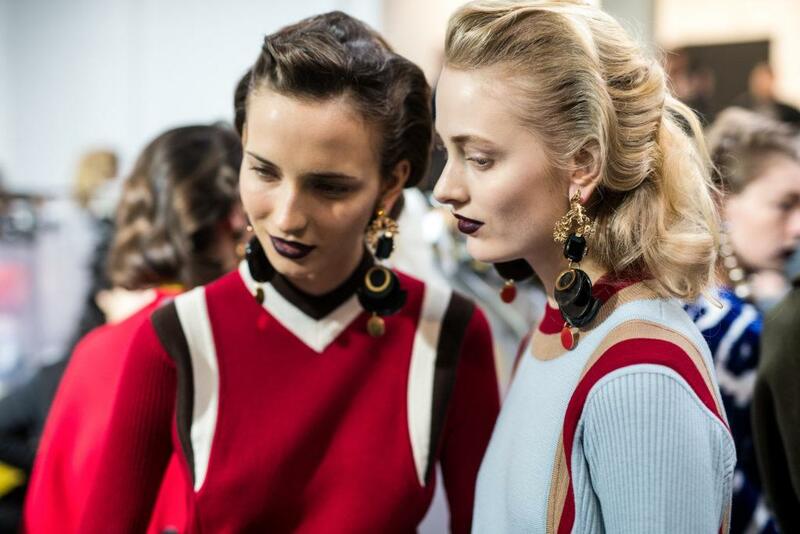 The ornate drop earrings and deep maroon lip gave the look an undeniably cool-girl finish. Editor’s tip: After all your hard work it’s important to lock in your style with a holding spray. 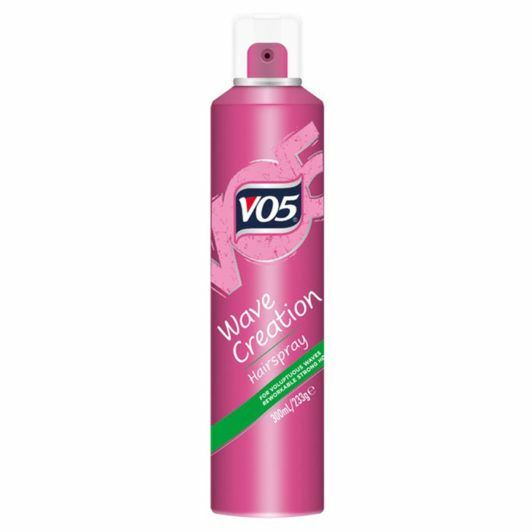 We love VO5 Wave Creation Hairspray for sealing in and building wavy styles. 1920s hairstyles for short hair don’t get much prettier than this! We love the laid-back look of this retro hairstyle. It’s almost beach-chic meets old Hollywood glamour. Simply create loose finger waves and then gently brush them out for a more relaxed feel. If you ever get bored with short locks, this is a great look to play around with. Actress and singer Zendaya looks beautifully polished and put together, proving that 1920s hairstyles don’t have to be complicated. Simply style the front section of your hair into finger waves, then sweep the rest of your hair back into a low bun – sorted! If you’re looking for 1920s hairstyles for long hair, this single finger wave is a subtle take on classic finger waves. We just love the idea of working vintage waves in such a sophisticated way. Stunning! Editor’s tip: Ensure your tresses have a frizz-free finish by using the VO5 Frizz Free Cream. Not only is this nifty product fab for controlling frizz and creating a smooth glossy finish, it comes with heat defence too! 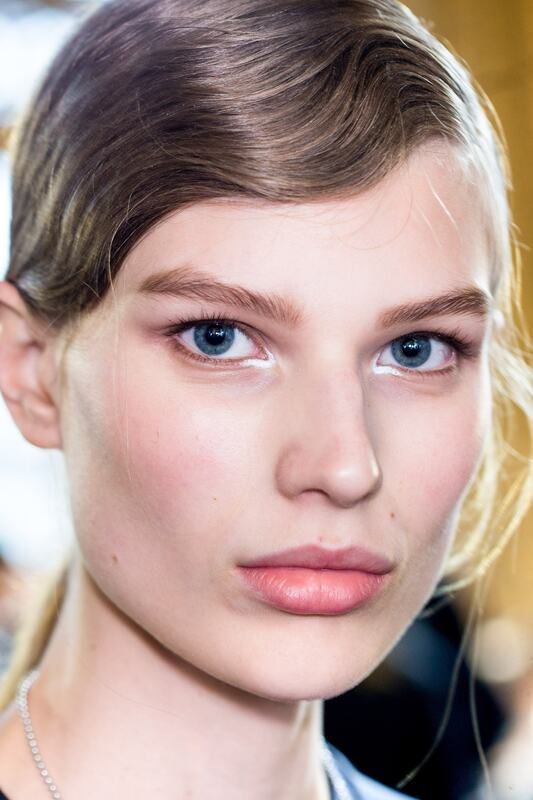 The wet look trend worked with retro waves is also a firm favourite of ours. The shape of the waves was exaggerated for dramatic effect and styled into very striking finger wave fringe. Who would have expected such a complementary combination? Love accessories? 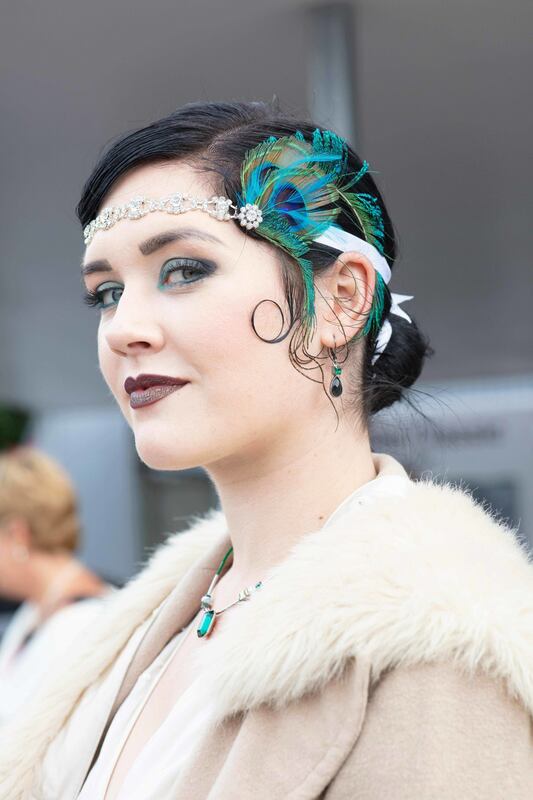 If you want to give your finger waves a fresh update, try experimenting with different vintage-inspired hair accessories, like this lady has done with a peacock feather and headband.